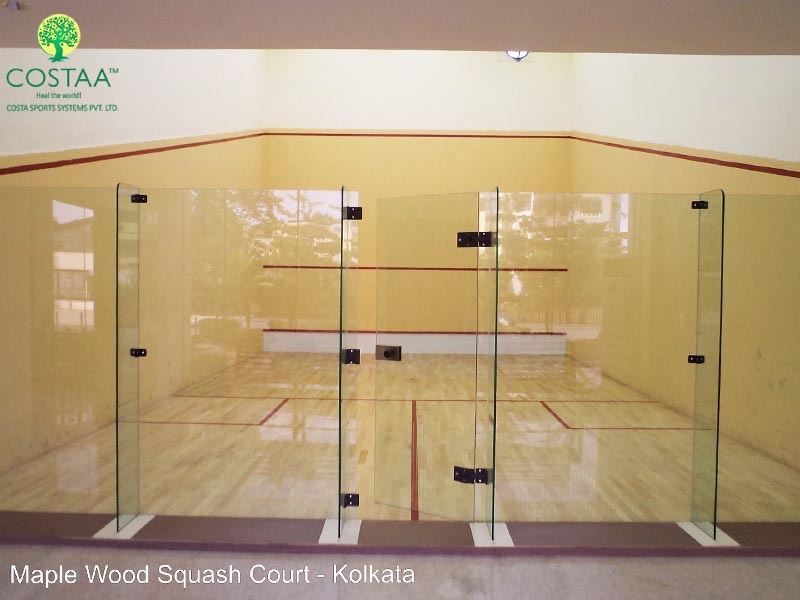 Wooden Flooring of Squash Court – Costa Sports Systems Pvt. Ltd.
‘COSTA’ Air-Cush squash court wooden flooring, the wood used is White Oak and Maple. The COSTA Wooden surface is apt for all ages of players and can be used as multi-functional sports floor. 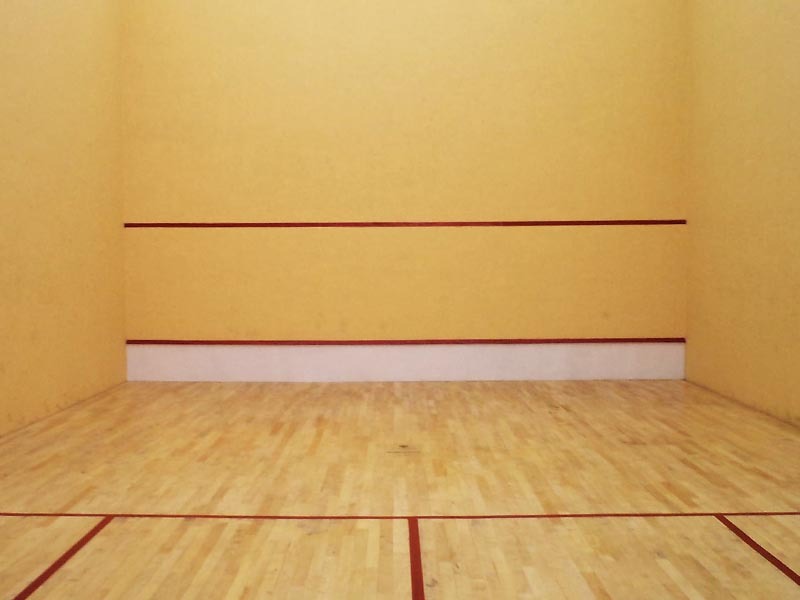 The COSTA wooden flooring of squash court is safe and injury free sports floor with excellent and consistent resiliency and friction. It is designed in a way to prevent injuries and different body parts. It provides a perfect balance between furnishing and slide which is essentially required to enhance comfort and improve performance. The COSTA wooden surfaces are parallel to the requirements and standards set up by respective international agencies/bodies/federations for respective sports. The COSTA wooden surfaces are sanded, buffed, sealed and finished and are KILN & Borate treated for protection against humidity and insects. The sub-floor treated sleepers provide the necessary support and space allowing suitable air circulation/ventilation for added dimensional stability durability. The COSTA Hard plaster system provides a unique combination of great strength and whiteness. The COSTA Plast walls are in accidence with all specifications and standards defined by international bodies/agencies/authorities/federations. It is designed in a way to suit all kinds of climatic conditions in India. The COSTA Squash glass back wall meets all the requirements and standards set by the international bodies/agencies/authorities/federations. It is designed, manufactured and installed in a way to resist repeated high energy impacts. The material used is wholly compatible with 12mm toughened glass and able to cope with constant stress applied. The unique hinge door eliminates the risk of finger trap. The glass wall gives spectators a clear and unimpeded view of the court action. The referee’s task is at ease with the help of glass back wall. The glass back wall eases the work of the coach to monitor the game.